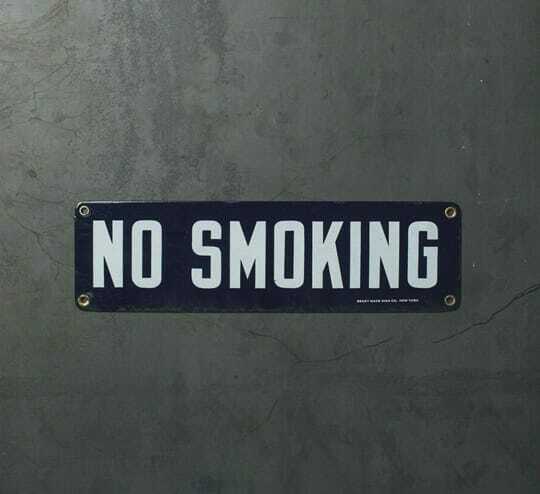 Easily get the message across with this vintage no smoking sign. White lettering on cobalt blue enamel. Copper rivets on each corner for hanging. Manufactured by Ready Made Sign Co. in New York.